Teach Overseas job Southeast Asia: Amazing International Schools ESL Teaching Jobs in Myanmar - Apply Now & Travel! 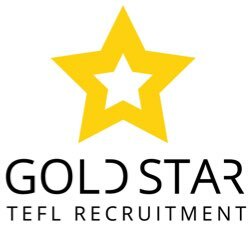 Amazing International Schools ESL Teaching Jobs in Myanmar - Apply Now & Travel! We are among the top international schools in Myanmar and we are now welcoming qualified teachers to apply for the positions of Middle School English Teacher, Primary School English Teacher or Economics & Business Teacher. We provide a high quality and meaningful education to all students and we are driven by our mission to help our students to develop essential skills, including communication, collaboration, intellectual, moral, emotional and physical skills. We operate 4 main campuses and 4 kindergartens in Myanmar. Our campuses are located in Yangon, Mandalay and Nay Pyi Taw. Teachers will be assigned to work at one of these campuses but may also be asked to work at more than one campus if any need arises. We offer an international education through our Cambridge Curriculum that leads to IGCSEs, IB Diploma Program or Cambridge International A-Levels. IGCSE includes both the English and ESL syllabi. Curriculum design is determined and shaped mainly based on the school’s mission and vision, philosophy, values and the extent to which the design meets and supports the fulfillment of the school’s mission and vision. Students’ are offered a variety of subject choices according to their interests and needs. Our teachers work Monday to Friday, 8am to 4.30pm, with a maximum of 25 academic hours per week. Class size is typically 20, often less, and classrooms are well equipped with smartboards and internet. We focus on building a harmonious and progressive cultural atmosphere where students learn eastern and western cultures together through cultural exchange activities. We believe the increasingly diverse and global nature of our school environment shall continue to grow in the long run. Yangon is the largest city in Myanmar and the city is an amalgamation of English, Burmese, Chinese and Indian influences, and is known for its colonial architecture, which although decaying and beyond appreciation, remains an almost unique example of a 19th-century British colonial capital. New high-rise buildings were constructed from the 1990s. Yangon is the most exotic of all Southeast Asian cities. A walk down a typical street, the sights show noticeable commercial and traffic signs written mostly in local alphabet, not to mention the appearance of wandering monks in burgundy robes and the gilded pagodas as this is expected in this Buddhist country, and down to the locals keeping up their appearances. Mandalay, the very name evokes the splendours of the Burma of old. But, most people will be surprised to learn that Mandalay is not an old city, not even a medieval one, but rather a new city that was created by King Mingdon Min of Burma in 1857 as the new capital of the kingdom of Ava. The city, neatly planned with its lettered roads and numbered streets, is a British creation. Today, Mandalay lies at the end of the Lashio Road and it is, by Burmese standards, relatively prosperous as a centre for trade with China and as a centre for the growing trade with India. Despite the capital having been moved to Naypyidaw, Mandalay remains by far the main commercial centre of Upper Myanmar. Myanmar is full of surprises and Nay Pyi Taw is one of them. Nay Pyi Taw, its name translates as ‘Royal City’ or ‘Seat of Kings’, is a young capital which, contrary to belief, has much to offer a visitor whether on business or on holiday. Built on a plain which sits between two ranges of hills, the Bago Yoma and Shan Yoma, on a clear day the city has a marvellous backdrop. It is the capital city of Myanmar and seat of the government of Myanmar. It is administered as the Nay Pyi Taw Union Territory, as per the Constitution. It is unusual among Myanmar's cities, being an entirely planned city outside of any state or region, similar to Canberra in Australia, or Brasília in Brazil. As the seat of the government of Myanmar, Nay Pyi Taw is the site of the Union Parliament, the Supreme Court, the Presidential Palace, the official residences of the Cabinet of Myanmar and the headquarters of government ministries and military. Nay Pyi Taw is notable for its unusual combination of large size and very low population density.